At least now we don't have to try this out ourselves, why? because we have the technology! Yay! No, don't do this, rather check out this video of a realistic animation showing what will happen if you hit a chain wall at high speed. BeamNG Drive is easily one of the coolest games/simulator apps we’ve ever seen. It takes as close to real-world physics as possible and allows the operator – or is it player? – to build some ridiculous situations that no car or truck should ever have to encounter, all in a virtual world that looks strikingly realistic, making for some amazing videos that are fun to watch. In this particular video, the animator has built a wall across the highway of heavy chains and sent a host of different cars screaming into the wall at a high rate of speed. You can see, even in the very first simulation, a regular family cruiser makes a heck of an impact when rammed into the wall of chains. From there, things only get more and more interesting and funny. As logic would dictate, the faster the car the more intense the carnage, and the better the footage. 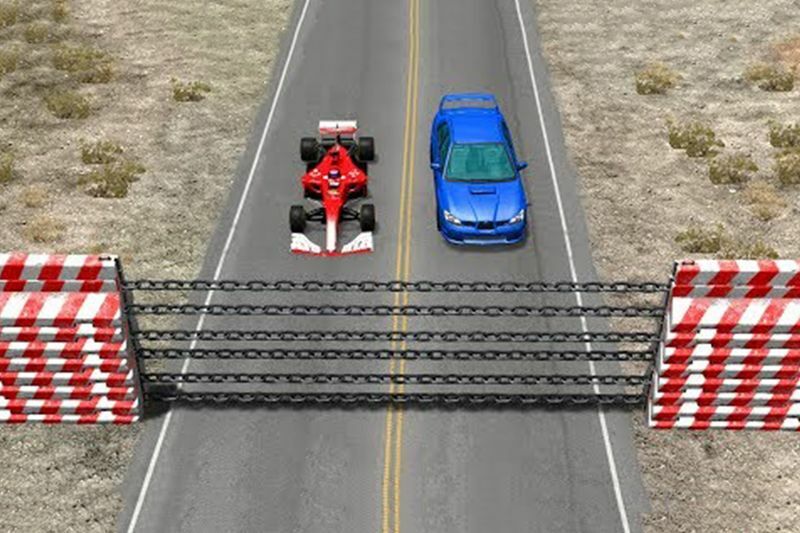 As the cars in the simulation get faster and faster, they also get more prone to make it to the other side of the wall of huge links. The first few don’t even come close to coming out the other side, but it seems if you hit it fast enough, a car, or at least large portions of one, can make it past. When the cars switch to full on drag cars, the footage ramps up as the engines go flying, thanks to the rapid deceleration. However, my favourite clip is the one where one car follows right on the bumper of the first. As the first car is brought to a dead stop by the chains, the second ride ploughs hard into the rear, putting it out the other side and sending the wreckage of the first car flying. That’s is hilarious, I don’t care who you are. There are plenty more to watch though, so just go ahead and hit that play button and let us know what you think. If any of you out there also play or use BeamNG Drive, show us some of your videos, we just might share them as well! Video: 8 Tuned Cars With Crazy High Redlines Up To 12k Rpm!